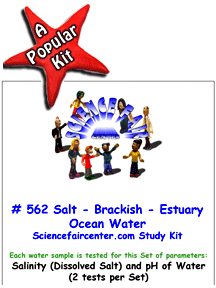 These Popular AnswerPack Science Projects for Student Scientists Interested in water testing. 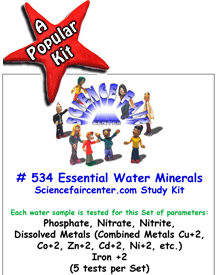 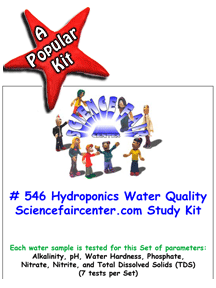 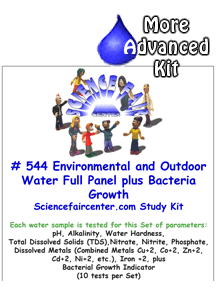 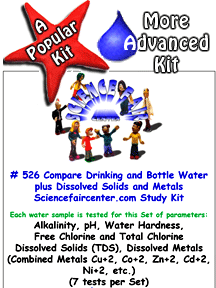 Science Fair Center offers drinking water – health – food – plants – environment – water quality test kits, information and tips that help develop science ideas into science fair projects with a water theme. Since water is an essential part of our lives, there are unlimited water projects that can be done by young scientists. We help students discover that science is amazing.